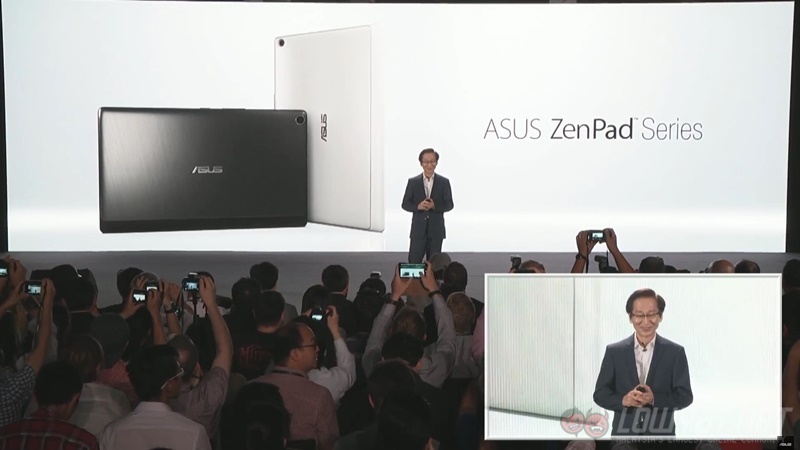 Other than the ZenFone Selfie, Asus has also unveiled as many as four new tablets under its ZenPad series of premium tablets. 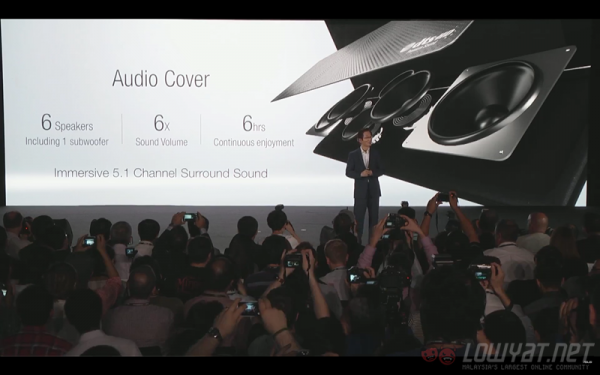 These include one 7-inch model, two 8-inch variants, and one 10.1-inch tablet. 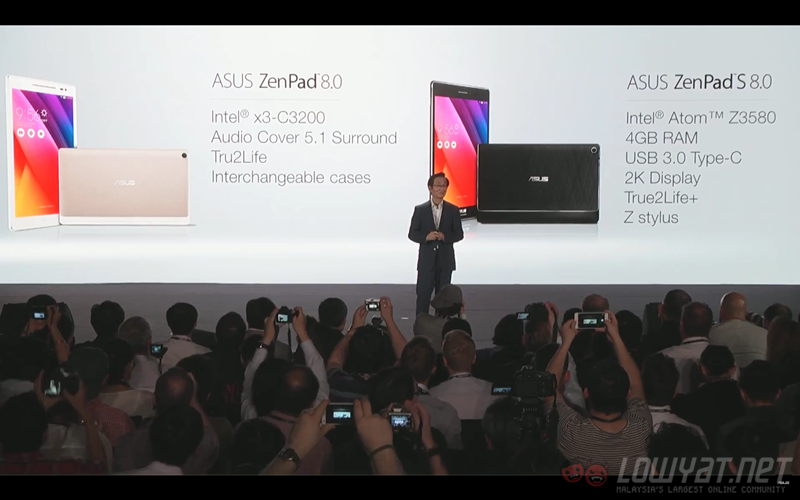 Asus claims that the ZenPad S 8.0 is the world’s first 8-inch tablet with 4GB of RAM. First, let’s talk about the ZenPad 8.0. Powering the tablet is an Intel x3-C3200 processor – making it the first device to be shipped globally with the processor, an 8-inch 1200 x 800 IPS display, 1GB or 2GB of RAM, and a choice of 8GB or 16GB of internal storage. 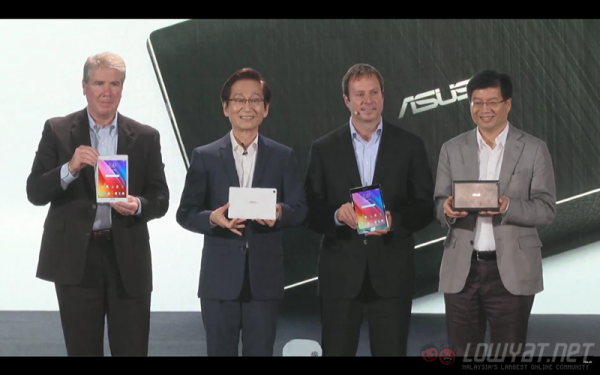 The tablet also features an interchangeable cover design that lets users switch to various functional covers. These covers include the very interesting Audio Cover which brings 5.1-channel surround sound to the tablet (which Asus claims is a first) and the Power Case, which can extend the ZenPad 8.0’s battery life up to 15 hours of usage. 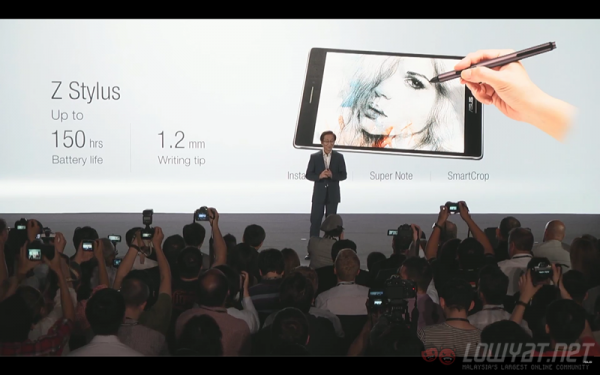 This tablet is also available in both mobile and WiFi models. The ZenPad S 8.0, on the other hand, is a beefier version of the aforementioned tablet. In terms of hardware, it has an 8-inch 2048 x 1536 IPS display with a pixel density of 324ppi, an Intel Atom Z3580 64-bit processor (the very same one found in the flagship Asus ZenFone 2), and a whopping 4GB RAM. It can also be used with the Z Stylus, which is said to support up to 1024 levels of pressure and a battery life of up to 150 hours. Unfortunately, Asus did not reveal much about the 7-inch and 10.1-inch variants of the ZenPad tablets. We’d update this article once we learn more about these variants.